It’s all over the news that ‘Star Trek: Discovery’ star Anthony Rapp accused the “House of Cards” star of making a pass at him when he was 14. So Spacey offers an apology. However, in his apology he says he doesn’t remember the incident, but if he did behave as Rapp describes, it was because he was sloshed. Shockingly, Spacey followed his apology by coming out as gay. “I choose now to live as a gay man,” said the actor. Naturally the announcement generated blowback. Support from the LGBTQ community has not been forthcoming. 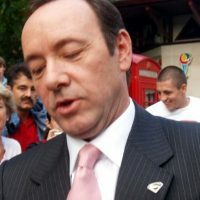 “Not even diehard liberals are buying into Spacey’s blatant attempt to switch the conversation from pedophilia to his sexuality — which few have ever questioned,” observed Zachery Leeman in a piece he wrote for LifeZette. Now we learn that Netflix is deeply troubled by Rapp’s accusation and will end the series. In the wake of the sexual harassment allegation against actor Kevin Spacey, Netflix has announced “House of Cards” will be ending after the show’s sixth season. The news comes after many fans called on Netflix to pull the plug on its original series following a report from Buzzfeed News in which actor Anthony Rapp alleged Spacey, then 26, made a sexual advance on him when he was 14 years old. The decision to conclude “House of Cards” was made several months ago, according to a person with knowledge of the situation who spoke on condition of anonymity because they were not authorized to discuss the decision.